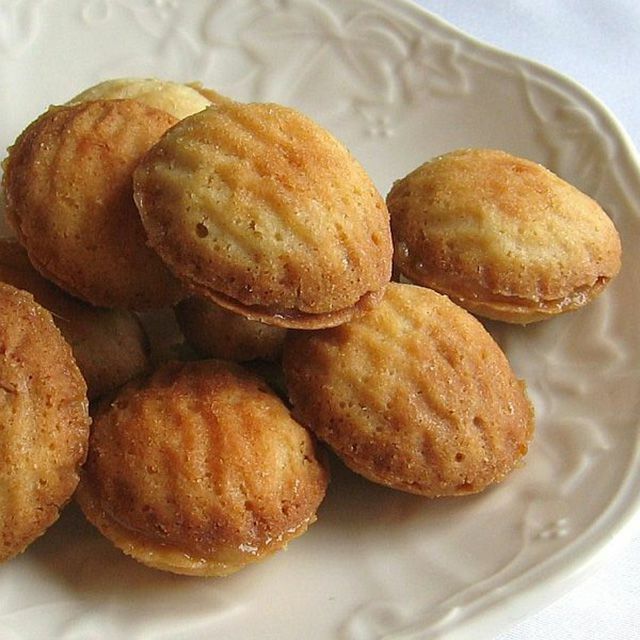 These traditional Polish walnut-shaped cookies, or ciasteczka orzeszki (chahss-TETCH-kah aw-ZHESH-kee), are made in molds and then sandwiched together with creamy fillings. There are individual walnut-shaped molds for the oven and there are some that resemble a waffle iron and are baked on top of the stove, and yet other styles exist. What remains the same is a delectable filling either made of cream or chocolate or a combination of the two and usually mixed with finely ground walnuts. The cookies are a bit time-consuming but worth it. Store the walnut "shells" and fill at the last minute for best flavor. This recipe can be doubled, if desired. To make the dough: In a large bowl, beat together 4 ounces unsalted butter, 1/8 teaspoon salt, 1/3 cup sugar, 1/4 cup confectioners' sugar, 1 teaspoon vanilla, and 1 large egg. Add 1 1/4 cups all-purpose flour and mix until well combined. Wrap in plastic and chill for 30 minutes. Heat oven to 375 F. Do not grease walnut molds. Press 1/2 teaspoon dough into the bottom and up the sides of the molds. Dip the finger you use to press the dough into the mold in flour to prevent sticking. Place filled molds on a baking sheet and bake 8 to 10 minutes or until cookies are brown around the edges of the molds. Cool a few seconds and then tap them out of the molds. Repeat until all the dough is gone. It's a good idea to store the "shells" in an airtight container until ready to serve and then fill at the last minute, otherwise they could become soggy. To make the fillings: For both fillings, in separate bowls, mix all the ingredients together, or use preserves or prepared almond paste or nut fillings. Spread 1 teaspoon filling on half of the walnut-shaped cookies and top with a second cookie. Dust with confectioners' sugar, if desired.